Following the approval of the new 2019 Stability Law, from this year the tax breaks in innovation will undergo a concrete increase with particular regard to the support of italian SMEs and innovative Startups. Based on this ratio, various financial measures have been adopted. First of all, there is a right to tax incentives of up to 40%, for IRES and IRPEF individuals who make investments, directly or indirectly through companies or UCIs in “innovative startups or SMEs”, or companies that raise capital on 200crowd.com . Furthermore, a facility has been introduced aimed at increasing the possibility of exit for investors, ie companies that decide to acquire the entire share capital of an innovative startup are granted an IRES deduction of 50%, increased compared to the previous forecast of 30%. It was reshaped in a more favorable sense to SMEs (while reducing for other companies) over-depreciation, which specifically concerns investments in terms of industry 4.0, the latter incentive rises to 270% for investments of up to 2.5 million. EUR. Some of the maneuvers already envisaged in the first previous version of the National Industry 4.0 plan have been reformulated more favorably to SMEs than to large companies, and new action plans have been introduced. With the Growth Decree, the maximum ceiling to request the funding provided by the Nuova Sabatini changes: 30% of the resources (it was 20% last year, was boosted by this year’s maneuver) is intended for micro, small businesses and medium size for the purchase of “new factory machinery, plant and equipment with the aim of making investments in technologies, including investments in big data, cloud computing, ultra-wide band, cybersecurity, advanced robotics and mechatronics, augmented reality, 4D manufacturing, Radio frequency identification (RFID) and waste tracking and weighing systems “. the 4.0 training bonus is extended to 2019 up to here with a more favorable remodulation for SMEs for which the subsidy rises to 50%, while it remains at 40% for medium-sized companies and is reduced to 30% for large companies companies. The most important 2019 change is represented by the vouchers for SMEs for the 2019 and 2020 costs incurred for consultancy services of a specialized nature to service technological innovation plans. In practice, it is the so-called voucher for innovation managers. PIDs provide companies with digital vouchers for the purchase of advisory services, training and technologies in the 4.0 environment: tangible support for the digitalization of micro-small and medium-sized Italian companies. The vouchers are issued through special Calls published by the Chamber of Commerce at variable intervals. All the recent maneuvers aim to favor the growth of innovative SMEs and startup and add up to the others previously introduced with the same purpose. Startup Losses, a measure of finance for innovation contained in paragraph 76 of the 2017 maneuver, which establishes that startups can sell losses to a company that has a stake of at least 20% and is listed on a regulated market. Equity crowdfunding, the structural measure that provides the possibility of raising risk capital through online portals from 3 January 2018 is extended to all SMEs. 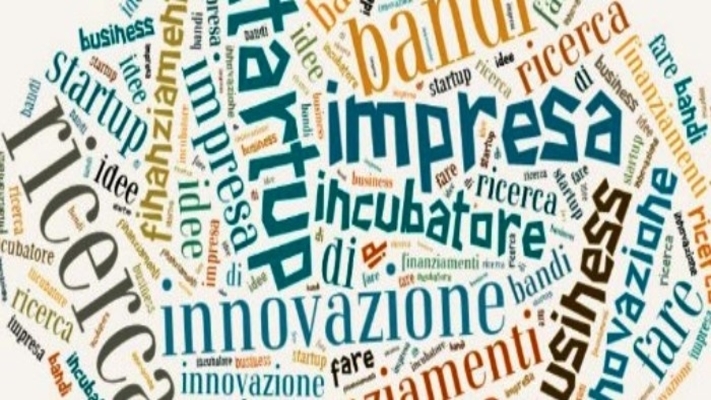 Furthermore, as regards investments in startups, it is envisaged that the INAIL may subscribe shares of funds destined for the development of startups, or participate directly in the capital, also together with other public and private subjects, both Italian and foreign (paragraph 82) . the 2019 Budget Law therefore seems to confirm the willingness of the Italian Government to support the growth of national innovative SMEs and startups. GlassUp seems to fully correspond to the identikit of this type of company, whose innovative development potential deserves to be warmly supported and enhanced. GlassUp is an Italian startup specialized in AR. Since its birth the company has been working on smartglasses development with two clear goals in mind: freeing mobile users from the constant need of checking their smartphone screens and enhancing factories work experience. In order to do this we created GlassUp F4.